A life without a smartphone is unthinkable for many nowadays. Always with you and always in use, the smartphone becomes your daily companion. This makes it frustrating when such a powerful and expensive smartphone slips out of your hand or simply gets scratched by daily use. Pixum's Thin Silicone Case protects your smartphone from any kind of impact and adapts perfectly to your phone. Surrounded by a shock-absorbing layer of slim silicone, the phone is protected against scratches and other damages. At the same time, the non-slip surface of the silicone cover provides a good grip and prevents the smartphone from slipping out of your hand. 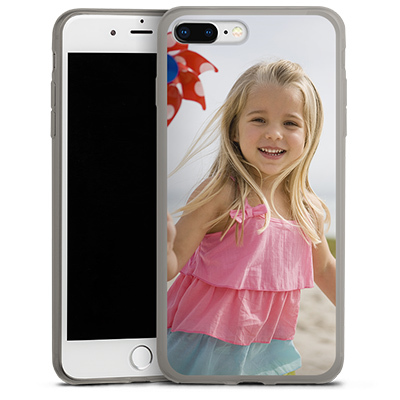 Through a special procedure, your individual design is printed on the Thin Silicone Case in such a way that it itself remains flexible and accompanies every movement. Also, you can completely choose the image and design yourself. Customise your Thin Silicone Case the way you want it to be now.